8246 - The Unity Sand Ceremony is a novel alternative to the popular unity candle ceremony incorportated into many of today's weddings. The essence is to symbolize the union of "two into one". 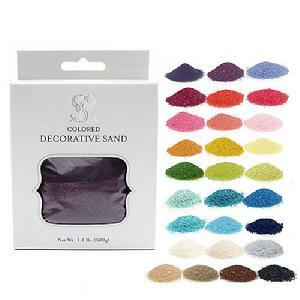 This sand version is not only beautiful and interesting but also more appropriate for an outdoor setting. 3 piece set. 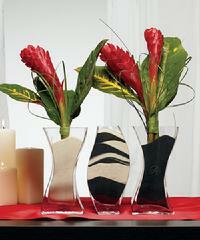 Each vase 10cm x 5cm x 20cm H. Flowers not included, Sand sold separately, see below.